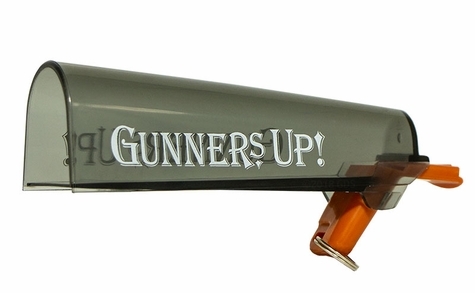 Gunners Up! Mega Whistle. $19.99. Specially designed to be heard at long distances. The volume and pitch of the Gunners Up! Mega Whistle makes it perfect to be heard at long distances. Strong and durable plastic stands up to the toughest biting and conditions during handling and competing.